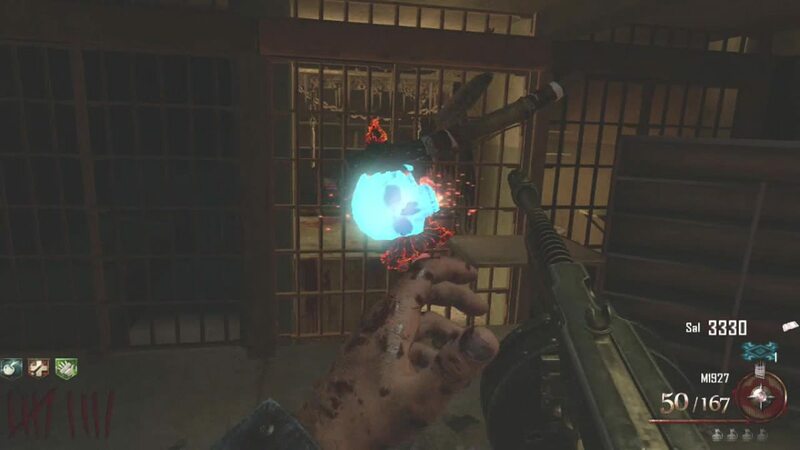 You will need an arsenal in order to achieve high rounds in Alcatraz, Mob of the Dead. Many of the objectives can be difficult as the rounds progress. In order to increase your chances of success it is essential that you complete the objectives at as early a round as possible. First I will list the tasks in the order that I will complete them. In order to finish in a timely manner I will work on several objectives at the same time. The descriptions below will explain how I manage multiple objectives at the same time. The first objective on my list is to build the Zombie Shield. I like having the shield because it protects my back and allows me to get out of stick situations. 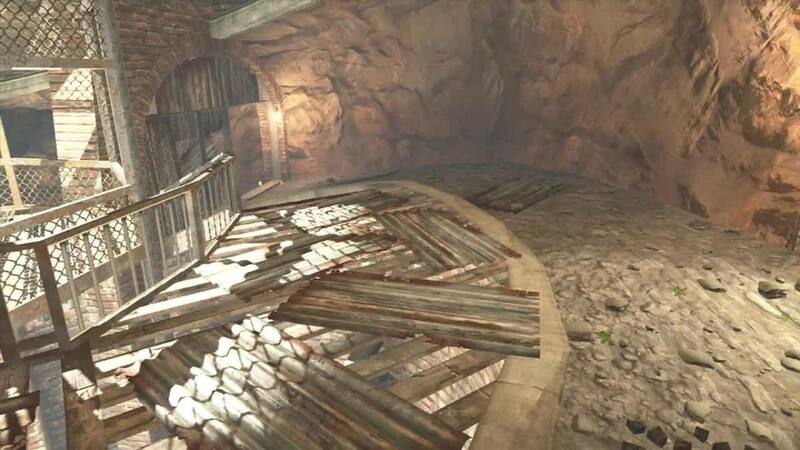 However, the parts for the shield are located on the Docks and the Citadel Tunnels. We will need to open multiple doors which will require us to accumulate some points first. There are two wolf heads between the start location and the shield parts. In order to save time it makes sense to accumulate points by killing zombies in the area of the wolf heads. You have three limitations that can prevent you from completing objectives quickly. You have a limited amount of Afterlives, points available, and zombies. You can overcome these limitations by killing zombies in the proper areas, getting the most out of each Afterlife, and proper point budgeting. You objective in round one is to accumulate the maximum amount of available points for use in future rounds. You will also be picking up the M14 since it will allow you to avoid buying an expensive gun early in the game. Use your handgun to kill zombies. Shoot them five times and then stab them. Try to shoot the zombies in a line in order to save bullets. If you shoot them in a line you can shoot each zombie in the line an additional three times before stabbing them. 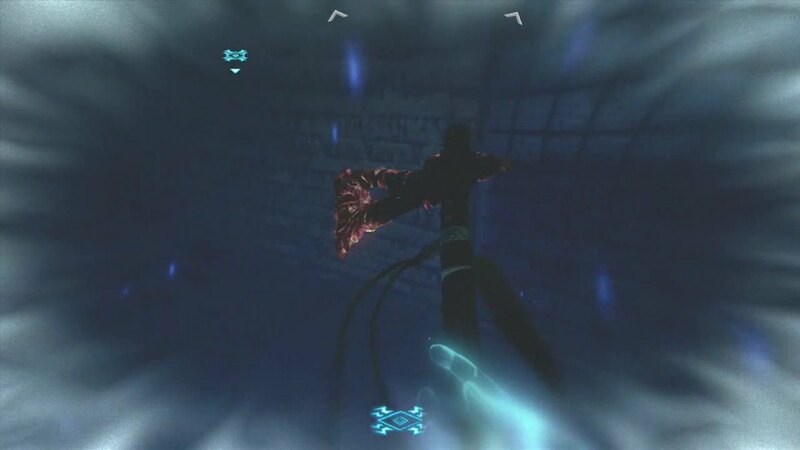 Before you revive yourself open the cell door in the first room. Wait until the zombies are through the windows and grab the double points power-up. After the last zombie is dead build a window before the round ends. If you do the previous steps quickly you should be able to get double points for boards you add. Open the door that leads to the center of the Cell Blocks. Your objective in round two is to continue to accumulate points while feeding the beast. As a side objective you will also start to utilize your Afterlives. If you still have handgun rounds, shoot each zombie eight times and then stab them. 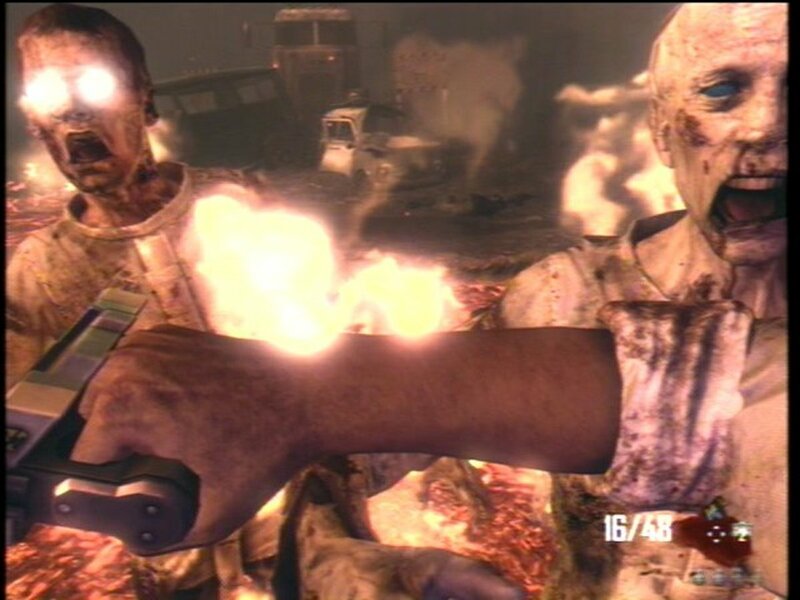 If you are out of handgun rounds shoot each zombie once with the M14 and then shoot them. Look for the case for the Acid Gat Kit on the table. Go to the center of the Cell Blocks, in the area that a red wolf head is painted on the wall. Throw your four grenades in the lava pit. You will get 20 points for each grenade. Kill the zombies, one at a time, in the area that the wolf will collect them. Wait until the wolf is done eating and has howled before killing the next zombie. Don't kill the last zombie or even shoot it. Shooting it one time can cause it to die if you move out of its range. Go through the room you started in and continue to the area by the front door of the Cafeteria. The Warden's Key might be in this area. Look for the case for the Acid Gat Kit. If the Warden's Key is in this area lower it first. If it is not skip to the next step. Go through the portal by the steps and power the door to the Showers. If your Afterlife meter is almost empty then skip the next step. Power the Voltmeter that opens the cell door. Pick up the key if it was in this area. Go back to the center of the Cell Blocks. Open the Door that leads to the Warden's Office. Go to the closed doorway of the Warden's Office. The Warden's Key might be in this area. Lower the Warden's Key. If the Warden's Key is not in this area then skip this step. Go through the second portal and power the Warden's Door. Go into the Warden's Office and give power to Speed Cola. If your Afterlife meter is almost empty skip the next step. Power up the Volt Meter that opens the cell door. It is located past the steps. Kill the last zombie. If the wolf is not completely fed, kill the zombie close to the wolf head. Stand by the double points that was in the cell door that you opened by the Warden's Office. In this round your objective is to accumulate the points that you will need to open doors and ride the Gondola down to the Docks. 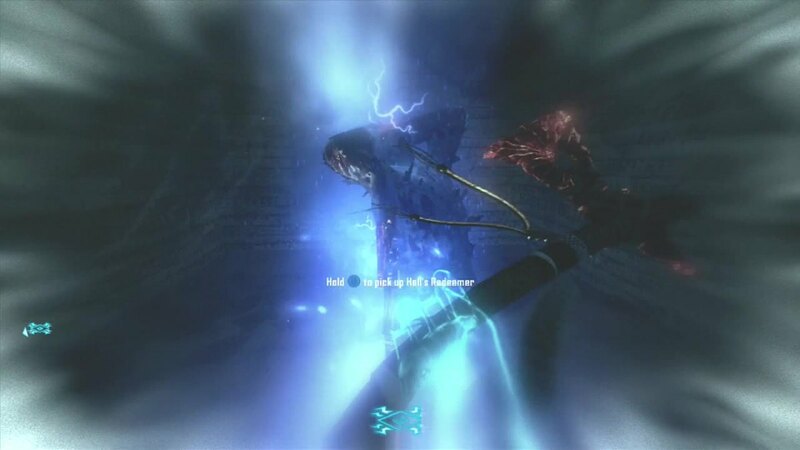 You will also utilize your two Afterlives to power up multiple items. If the wolf in the Cell Blocks is not completely fed then make sure you finish it on this round. Kill zombies by shooting them twice with your M14 and then stabbing them. Wait until you see the first zombie and then quickly grab the double points and move out from the bottom of the stairway. Kill zombies until there is only two left. Do not shoot the last two at all. Open the door that leads to the top level of the Cell Blocks. Move to the electrical box on the top floor. Power up Electric Cherry and the Gondola. Take the Gondola to the Docks. 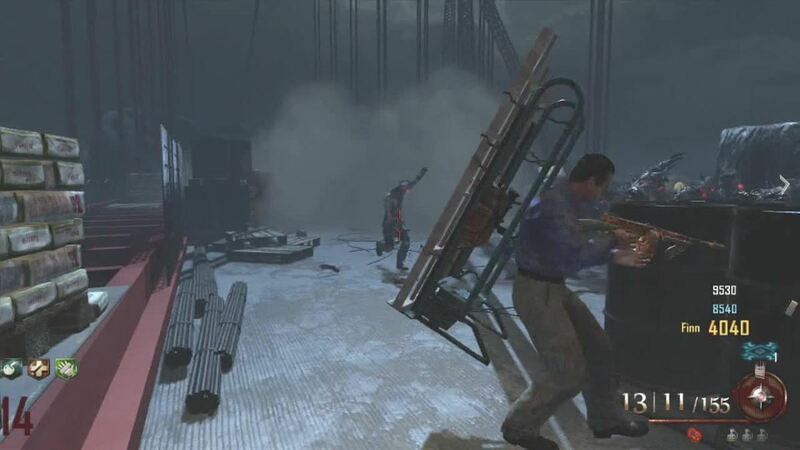 Go to the lower level of the Docks and pick up the dolly for the Zombie Shield. Open the gate that requires the Warden's Key. Enter that area and enter Afterlife. Power up the Volt Meter that is next to the electrical box. Pick up the Tanks for the plane. Kill the two zombies by the wolf head. There are multiple objectives to complete on the Docks. By the time you reach this area of the map your biggest limitation is points. You will want to complete these objectives as soon as possible, but it is difficult to complete these within a specific round. You might need to stop between these steps in order to accumulate points. While on the Docks you will want to watch your bullets and buy Jugger-Nog. Do not buy Jugger-Nog unless you have plenty of bullets or the ability to purchase a gun from the wall. Kill zombies by the wolf head until the wolf is fed. Open the door and enter the electrical room. Find the clamp for the Zombie Shield. 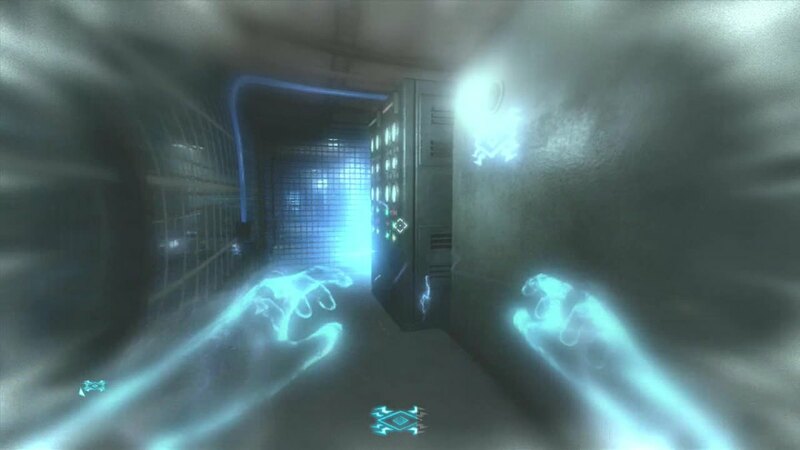 Go into Afterlife and turn off the electricity to the three electrical panels. Open the door to the Citadel Tunnels. Pick up the last part for the shield. Open the cage that blocks the Combo Switch. Go into Afterlife at the top of the spiral stairway. Enter the code in the Combo Switch. Collect the Rigging for the plane. Open the door in the Citadel Tunnels that is closest to Double Tap. Go back into the Cell Blocks. 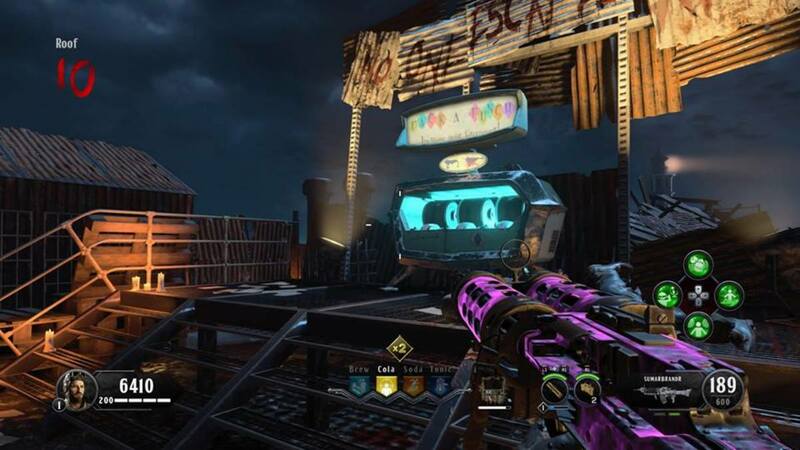 Next we will finish the Zombie Shield and open Hell's Retriever. I prefer to build the shield in the Cafeteria because it is where I will eventually run a train. Open the door to the Cafeteria. Build the Zombie Shield on the Building Station. Open the door to the Infirmary. Pick up the acid bottle for the Acid Gat Kit. Pick up the Control Valve for the Plane. Enter Afterlife and open the Roof. Kill zombies by the wolf head in the Infirmary until the beast is fully fed. 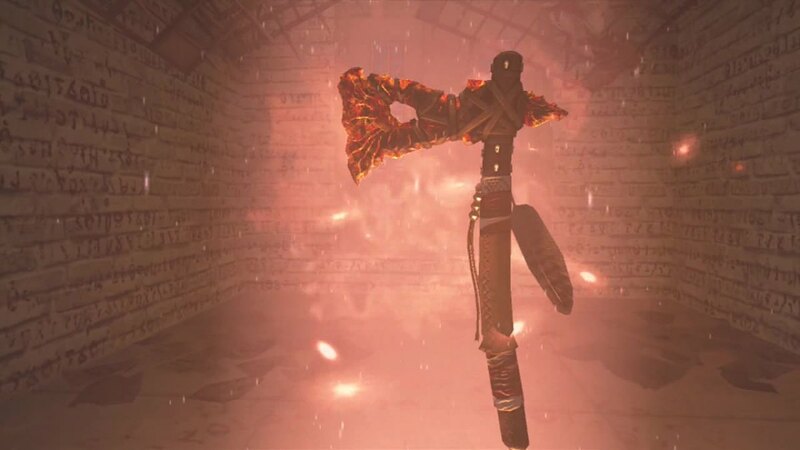 Go down to the the Citadel Tunnels and equip Hell's Retriever. We want to get to the Bridge as early as possible. Getting there early will make it easier to upgrade Hell's Retriever and get the Golden Spork. If you have enough points accumulated you should also get a good weapon and your perks. Open the door between the Citadel Tunnels and the Showers. Open the gate in the Showers that requires the Warden's Key. Go into the Warden's Office. Pick up the Part to the Acid Gat Kit. Open the gate and pick up the Engine for the plane. Go back to the Showers. Enter Afterlife and power up the Washing machine and Double Tap. Trigger the washing machine and survive the wave of zombies. Pick up the Uniforms for the plane. Travel to the Docks. Get the two Crystal Skulls. Go back to the Cell Blocks and get the Crystal Skull that is in the Cell. Build the Acid Gat Kit by Electric Cherry. Get the Crystal Skull from the Roof. Pick up your Blundergat in the Warden's Office. The Golden Spork will allow you to clear zombies quickly out of your way. 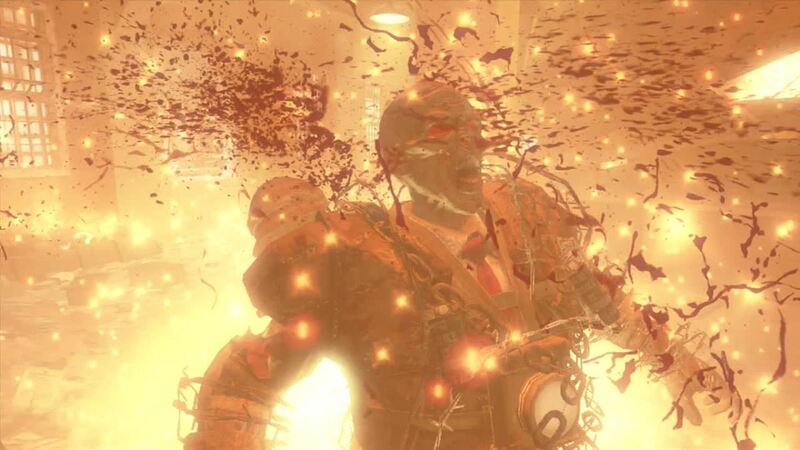 Combined with Hell's Retriever it gives you a method for killing zombies while conserving ammunition. 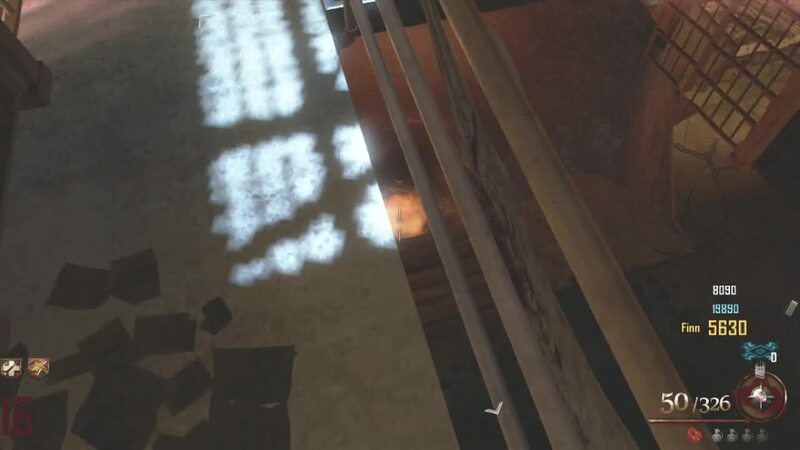 You will want to get the kills you need on the Bridge, and then get back to the prison and finish these last two steps. If you upgrade your Blundergat it will automatically become the upgraded version of the Acid Gat when you use the kit to upgrade it again. Get at least 30 kills with Hell's Retriever. Upgrade your Blundergat in the Pack-A-Punch Machine. Go back to the prison using an electric chair. Upgrade the Blundergat using the Acid Gat Kit. Throw Hell's Retriever through the poster. Enter Afterlife by the Warden's Office and zap the spoon. 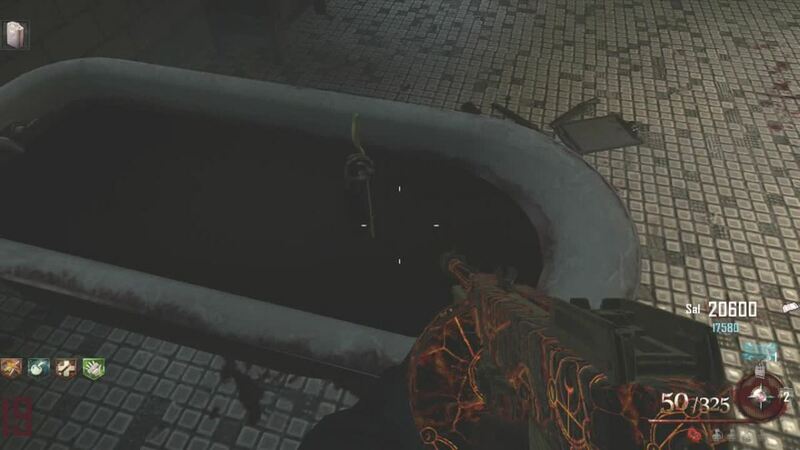 Kill Zombies in the Showers with the Acid Gat until the end of the round. 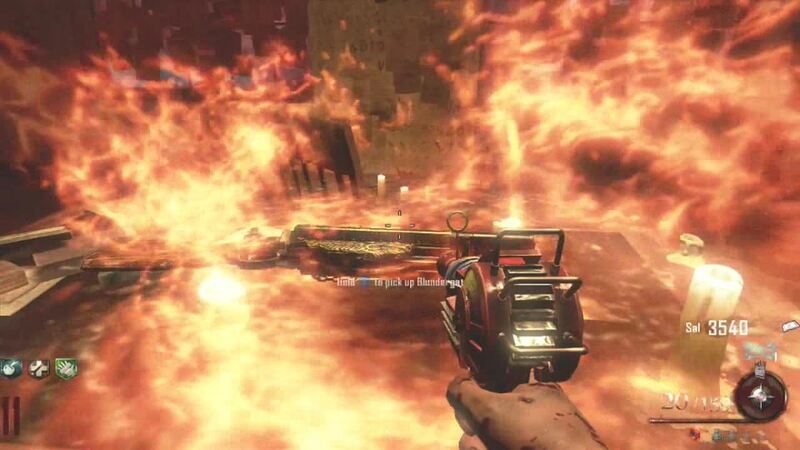 At the beginning of the next round enter Afterlife and pick up the upgraded Hell's Retriever. Continue to kill zombies in the Showers with your Acid Gat until you hear the laughing. Go to the Infirmary and pick up your Golden Spork. By now you should be a walking arsenal. If your secondary gun is not upgraded then I suggest collecting the gas cans and going back to the Bridge. I also suggest buying Claymores and picking up a new Zombie Shield every time yours breaks. You will now be able to run a train in the Cafeteria. This is where you should spend the bulk of the game. There are four zombie entry points, three windows and the main entrance. Follow the tips below to utilize your weapons in order to increase your chance of achieving high rounds. When a single zombie is in your path, stab it with the Golden Spork. Use Hell's Retriever as often as possible. Charge it while you are moving and then turn around and throw it towards the train. Aim for the head for maximum damage. Using this weapon will prevent you from running out of bullets in your other weapons. Don't kill zombies too fast. It can create a stream of zombies that will block your path. If you get into trouble, run out of the room and trigger the Acid Trap. If you are using heavy guns hold a Claymore in your hand when gathering a train. This will allow you to move faster, and you can drop the Claymore if you run into trouble. If you are cornered shoot the zombies with your Acid Gat. Then pull out your Zombie Shield to protect you from the acid. If Brutus arrives, don't panic. You can run him around with your train. 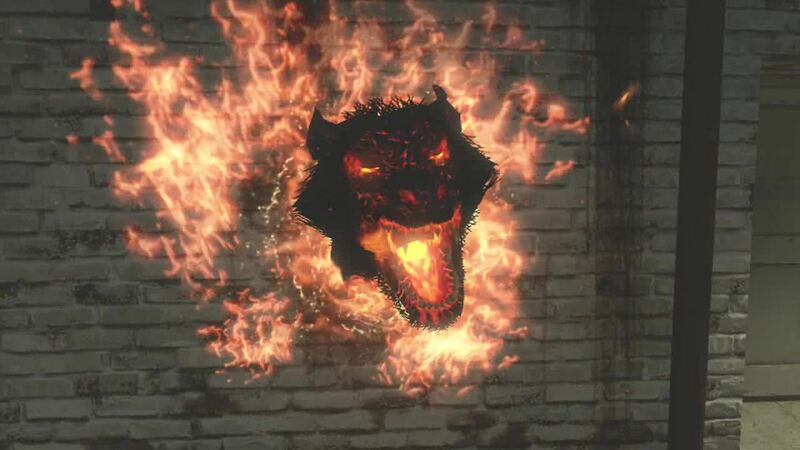 Use Hell's Retriever to take him out quickly. Aim for the head. 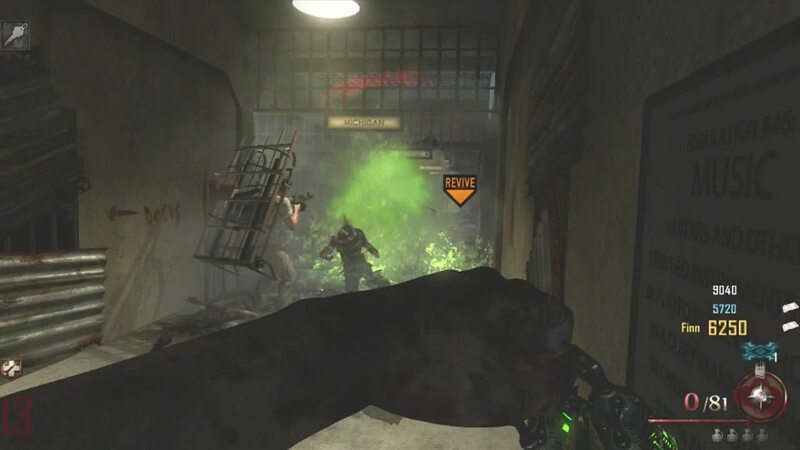 Best Strategy to Start a Game in Mob of the Dead, Alcatraz - "Call of Duty: Black Ops 2, Zombies"
That is helpful, but you are missing something, so I'll tell them. Get any kind of sniper, go to the bridge, and aim at the fireworks. Some people may have done this, so, HUSH, if you have done this, of coarse. Protip: You can get the blundergat from the box before doing crystal skulls and then by doing that you can have both the acid gat and the blundergat.